We offer a range of auto financing options so that we can help you find the best option for you. Bad credit, no credit, or are a first-time buyer, Arrotta’s AutoMax & RV’s will get you into the right vehicle. We care about what you have to say! While everyone was super helpful, CJ went above and beyond to make our purchase easy and hassle free. We’d definitely recommend Arrotta’s Automax. They worked hard and diligently to get me into a vehicle. I really like the vehicle i got and tbe people that worked with me were great. Jeremy was great through the whole process. I am so happy with the whole experience. I can't say enough that would explain my gratefulness. Your RV Dealership and a used car dealer in Spokane, WA. 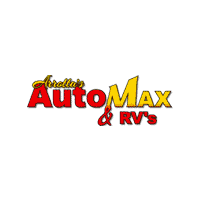 Welcome to the website of Arrotta's Automax & RV in Spokane, WA. Conveniently located near Spokane Valley, WA and Coeur D’Alene, ID, Arrotta's Automax & RV strives to provide drivers with some of the best prices on used and Certified Pre-Owned cars, trucks, SUVs, RVs, and motorcycles in the area. If you want an even better price on your next used vehicle, take a look at our van giveaways or used vehicle specials for a great deal. If you have bad credit, little credit history, or no credit at all, no need to worry: We aim to finance anyone. Once you’ve been approved and you’ve purchased your used vehicle with us, you can trust our exhaustive warranty program in case any automotive glitches happen down the way. Beyond great prices on vehicles ranging from used Jeep Wranglers to used Chevy Silverados to even used RVs, our Spokane car lot offers a dedicated parts department. Don’t have a part you need? Order online. If you’re not a Moses Lake, WA handyperson, you can take your vehicle into our service department. Our trained staff will fix up your vehicle quickly. As you can see, our goal at Arrotta's Automax & RV isn’t simply to serve as an outstanding used car dealership in the Spokane region. Rather, it’s to provide a full range of auto services to those in our Spokane community. For example, we’re here to help drivers – no matter their credit history – finance a car they love; we’re here to provide RV park recommendations and Spokane restaurant recommendations; and we’re here to help sort out common questions drivers have on their buying journey. If you’re ready to take your used auto experience to the next level, take the drive from Post Falls, ID to Arrotta's Automax & RV. We are located at 6623 N Division St in Spokane, WA, 99208. If you’d like to call our used car lot, simply dial (509) 204-5755. Of course, we understand calls can be inconvenient, so feel free to complete this easy-to-use form to contact us online.